Happy Saturday (or Caturday as the boys call it) to everyone. And thanks to Shiner for submitting a most important word in the cat and dog world. 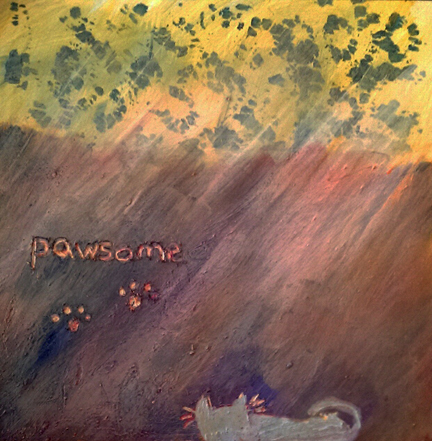 This entry was posted in art and tagged pawsome. Bookmark the permalink. Love the addition of the kitty. Have a super Saturday. That is FUR SURE a PAWsome Picture. This is… PAWSOME! One of my favorites in the series so far! Oh yeah! We dig it!